MMIB Faculty and their students are "In the News" for academic and professional accomplishments. Faculty "Publications" continue to gain national and international acceptance. Blair, J. & Boutin, P. J. (2019). The relevance and importance of pricing autonomy to different consumers: An empirical examination. Refereed Proceedings of the Appalachian Research in Business Symposium. 6-9. Cullowhee, NC. Boutin, P. J. & Blair, J. (2019). Teaching product standardization and adaptation in global marketing courses: A case study approach with Oreo. Refereed Proceedings of the Appalachian Research in Business Symposium. 10-13. Cullowhee, NC. Brewer, K., & Spain, J. (2019). Volunteerism: Developing social and ethical responsibility at the university level. Refereed Proceedings of the Appalachian Research in Business Symposium. 14-16. Cullowhee, NC. Fatzinger, J. (2019). Using outcomes-based learning to engage young professionals. Refereed Proceedings of the Appalachian Research in Business Symposium. 35-37. Cullowhee, NC. Marasi, S., Wall, A., & Brewer, K. (2019). Participant carelessness: Is it a substantial problem with survey data? The Electronic Journal of Business Research Methods, 17(1), 1-16. Roberson, M. (2019). Exploring the utility of multiple peer assessments among business students. Refereed Proceedings of the Appalachian Research in Business Symposium. 76-77. Cullowhee, NC. Robles, M. (2019). The cornerstone of effective leadership: Communication. Refereed Proceedings of the Appalachian Research in Business Symposium. 78-81. Cullowhee, NC. Poór, J., Engle, A. D., Blštáková, J. & Joniaková, Z. (2019). Internationalisation of human resource management: Focus on Central and Eastern Europe. New York, NY: Nova Science Publishers. Allison, L., Boutin, P. J., & Cumiskey, K. J. (2018). Business students' personal branding: An empirical investigation. Refereed Proceedings of the Appalachian Research in Business Symposium. 17-23. Johnson City, TN. Awang, F., & Carnes, L. (2018). Mobile technologies: The impact on learning and classroom engagement. Business Teacher Education Journal, 44, 22-29. Boutin, P. J. (2018). Democratic peace theory and global marketing: A review of the literature and proposed interdisciplinary research. Refereed Proceedings of the Academy of International Business U.S. Southeast Chapter Annual Meeting. 83. Nashville, TN. Boutin, P. J. (2018). Global entrepreneurship and entrepreneurs: An in-class activity. Refereed Proceedings of the Academy of International Business U.S. Northeast Chapter Annual Meeting. Philadelphia, PA.
Boutin, P. J. (2018). Political instability and its impact on inward flows of foreign direct investment: Hypothesized models at the country and company levels. Refereed Proceedings of the Academy of International Business U.S. Northeast Chapter Annual Meeting. Philadelphia, PA.
Boutin, P. J. (2018). Lightning talk: Facilitating understanding of the consumer decision-making process with an in-class activity. Proceedings of the Eastern Kentucky University Teaching & Learning Innovation Showcase. Richmond, KY.
Boutin, P J. (2018). Interactive demonstration: Enhancing student learning with an interactive in-class "game show" activity. Proceedings of the Eastern Kentucky University Teaching & Learning Innovation Showcase. Richmond, KY.
Boutin, P. J. (2018). 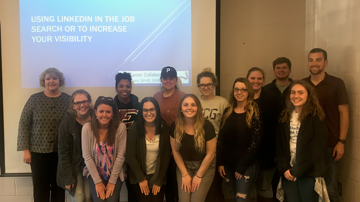 Social constructivism and cooperative learning in marketing courses: A sample in-class activity. Refereed Proceedings of the Appalachian Research in Business Symposium. 59-67. Johnson City, TN. Carnes, L. W. (2018). A country in crisis: Will Greece survive? Journal for Global Business Education, 17, 5-11. Carnes, L. W. (2018). Colleague to colleague. National Business Education Forum, 72(4), 39. Carnes, L., & Awang, F. (2018). Conveying the importance of personal brands to students. National Business Education Forum, 72(4), 15-18. Carnes, L., & Awang, F. (2018). International challenges and opportunities for start-up expatriates. Refereed Proceedings of the 90th Annual International Society for Business Education Conference. Reykjavik, IS. Engle, A., Festing, M., & Dowling, P. (2018). Mapmaking in an expanded universe: Expatriate careers and global experiences. Refereed Proceedings of the 15th IHRM Conference. Madrid: ES. Oh, J.-Y. (2018). The moderating effects of salespersons’ behaviors on supplier integration for new product development. Refereed Proceedings of the Appalachian Research in Business Symposium. 85-91. Johnson City, TN. Poór, J., Antalik, I., & Engle, A. D. (Eds.). (2018). Labour shortages and labour retention in key positions in Hungary and other CEE countries. (pp. 1-107). Research Monograph: J. Selye University –Szent István University, Komárno (Slovakia). Poor, J., Brewster, C., Engle, A. D., & Morley, M. (2018). How do MNC’s manage their human resources? Insight from subsidiaries in Central and Eastern Europe. Refereed Symposium of the 15th IHRM Conference. Central and Eastern European International Research Team (CEEIRT). Madrid: ES. Roberson, M. (2018). Onboarding freshman business students: Mindfulness, learning, and a business plan for life. 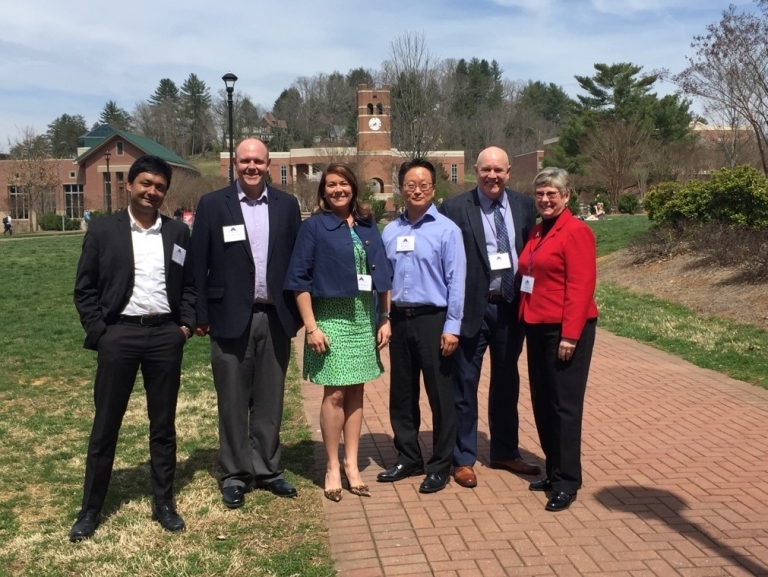 Refereed Proceedings of the Appalachian Business Research Symposium. 47-53. Johnson City, TN. Robles, M. M., & Ackerman, B. (2018). When in doubt, cite: Activities and assignments for teaching the rules of APA. Refereed Proceedings of the Association for Business Communication-Southwest. 102-104. Albuquerque, NM. Robles, M. M., & Larsgaard, J. C. (2018). Data mining and analytics. Refereed Proceedings of the Association for Business Information Systems. 11-15. Albuquerque, NM. Spain, J., Engle, A. D. & Thompson, J.C. (2018). Head in the clouds, feet firmly planted in the ground: Inquiries into the impact of organizational design on ethical conduct in the financial services industry. Proceedings of the 25th Annual International Vincentian Business Ethics Conference, 457-459. New York, NY. Tabibzadeh, K., & Carnes, L. W. (2018). Progress for a cooperative joint venture: A case analysis. National Business Education Forum, 73(2), 17-21. Awang, F., & Carnes, L. (2017). Helping college students develop a personal brand. Refereed Proceedings of the 25th International Conference on Teaching, Education & Learning. 35-36. Dubai, UAE. Awang, F., & Carnes, L. (2017). The impact of mobile technologies on students' learning and classroom engagement. National Business and Economics Society 18th Annual Conference. Puerto Vallarta, MX. Awang, F., Xiao, Q., & Carnes, L. (2017). Working toward holistic education: A case study of business program assessment. Business Teacher Education Journal, 43, 26-35. Billings, V., & Zhuang, W. (2017). Online students demographics and motivations to enroll in class. Refereed Proceedings of the Appalachian Research in Business Symposium. 124-127. Boone, NC. Boutin, P. J. (2017). Environmental scanning and global marketing strategy: A multitheoretical normative conceptual framework. Refereed Proceedings of the American Marketing Association Winter Marketing Educators' Conference. I16-I17. Orlando, FL. Carnes, L., Awang, F., & Xiao, Q. (2017). A holistic education approach for assessing business programs. Refereed Proceedings of the Appalachian Research in Business Symposium. 18-24. Boone, NC. Dowling, P. J., Festing, M., & Engle, A. D. Sr. (2017). International human resource management. (7th ed.). London, UK: Cengage Publishing. Engle, A. D., Lichtenberger, B., & Dingeldley, A. (2017). Internationalization and the intercultural aspects of virtual cross-border learning. Proceeding Abstracts of the 2017 International Academy of Business Disciplines Conference. 29. New Orleans, LA. Engle, A. D., Sr., Poór, J., Kerekes, K., & Zaharie, M. (2017). Who is in charge here? Evidence of the division of roles and responsibilities between global and local HR managers in MNEs operating in the central and eastern European region. Proceedings of the 3rd Global Conference on IHRM. 18-20. New York, NY. Hopkins, K. H., & Hopkins, C. D. (2017). Building sales people: Recommendations for the development of a professional sales mentorship program. Refereed Proceedings of the Appalachian Research in Business Symposium. 46-51. Boone, NC. Kiessling, T., Martin, T.M., & Yasar, B. (2017). The power of signaling: Presidential leadership and rhetoric over 20 years. Leadership & Organization Development Journal, 38(5), 662-678. King, K. L. (2017). Executive perceptions of communication and other soft skills and student preparedness for the workplace. Refereed Proceedings of the Association for Business Communication Southwestern US. 64-65. Little Rock, AR. King, K. L. (2017). Social networking and professionalism: Preparing students for success. Refereed Proceedings of the Association of Business Information Systems-Federations of Business Disciplines Conference. 9-13. Little Rock, AR. King, K. L., & Graham, J. C. (2017). Evaluation of IT ethical scenarios: A multidimensional analysis. Refereed Proceedings of the Appalachian Research in Business Symposium. 76-81. Boone, NC. Poór, J., Engle, A.D., Sr., & Brewster, C. (Eds.). (2017). HRM in transition – practices of MNC subsidiaries in Central and Eastern Europe, Russia and Kazakhstan (2015-2016). J. Selye University: Komarno, Slovakia. Polin, B. (2017). Organizational conflict navigation: Building a comprehensive conflict management course. Refereed Proceedings of the Appalachian Research in Business Symposium. 128-133. Boone, NC. Roberson, M. (2017). Exploring the utility of mindfulness and self-regulation assignments for business students. Refereed Proceedings of the Appalachian Research in Business Symposium. 82-88. Boone, NC. Roberson, M. (2017). A power and decision making simulation: New wrinkles on a classic exercise. Proceedings of the Organizational Behavior Teaching Conference. Providence, RI. Roberson, M. (2017). Mindfulness and self-regulation: A series of application assignments. Proceedings of the Organizational Behavior Teaching Conference. Providence, RI. Roberson, M., & Erekson, T. (2017). Improving student effort on a learning outcome assessment: Benchmarks, options, and results. Refereed Proceedings of the Appalachian Research in Business Symposium. 100-105. Boone, NC. Robles, M. M. (2017). Active learning with technology. Refereed Proceedings of the Association of Business Information Systems—Federation of Business Disciplines. 14-18. Little Rock, AR. Robles, M. M. (2017). Business education research for the K-12 teacher. In C. Wiedmaier, M. Erthal, & P. F. Meggison (Eds. ), Assessment strategies in business education (Yearbook No. 55, pp. 70-81). Reston, VA. National Business Education Association. Robles, M. M. (2017). Reinvigorating business education: From pre-school to college graduation. Refereed Proceedings for the Business Education Research Conference—Association for Research in Business Education. Chicago, IL. Robles, M. M. (2017). What communication characteristics and behaviors make a dynamic and effective leader? Refereed Proceedings of the Association for Business Communication-Southwest Region. 35-38. Little Rock, AR. Robles, M. M. (2017). The debate about using social media to screen job applicants. Refereed Proceedings of the Appalachian Research in Business Symposium. 140-145. Boone, NC. Stor, M., Poór, J., & Engle, A. D. (2017). Juxtaposition of organizational competitive factors and performance evaluation in conjunction with their implications for HRM in MNCs: Part one, contextual review and comparison of Central European and Polish findings. Journal of Intercultural Management, 9(3), pp. 79-118. Stor, M., Engle, A. D., & Poór, J. (2017). Juxtaposition of organizational competitive factors and performance evaluation in conjunction with their implications for HRM in MNCs: Part two, statistical correlation analysis within the Polish findings. Journal of Intercultural Management, 9(3), pp. 119-143. Tanel, K., & Roberson, M. (2017). Competency development in university business students: A multiperspective analysis. Refereed Proceedings of the Appalachian Research in Business Symposium. 52-58. Boone, NC. Xiao, Q. & Carnes, L. (2017). A pedagogical framework for teaching business strategy: Design and assessment. Academy of Educational Leadership Journal, 24(1). Allison, L., Flaherty, K., Jung, J. H., & Washburn, I. (2016). Employee brand attachment: A job demands-resources perspective. Journal of Personal Sales & Sales Management, 36(1), 3-18. Boutin, P. J. (2016). Use of online panels of respondents for business and marketing research: A descriptive, normative, and prescriptive analysis. Refereed Proceedings of the Appalachian Research in Business Symposium. 105-110. Richmond, KY.
Chen, L., Holsapple, C. W., Hsiao, S.-H., Ke, Z., Oh, J.-Y., & Yang, Z. (2016). Knowledge dissemination channels: Analytics of stature evaluation. Journal of the Association for Information Science and Technology. Carnes, L., Robles, M. M., & Awang, F. (2016). Promote interculturalism, leadership communication, and professionalism in your students: Success with a corporate communication certificate. International Journal for Business Education, 156, 32-44. Dachner, A.M. & Polin, B. (2016). A systematic approach to educating the emerging adult learner in undergraduate management courses. Journal of Management Education, 40(2), 121-151. Easterling, J. K., & Carnes, L. (2016). Real world meets academia: The case for rigor and relevance in supply chain management. Refereed Proceedings of the Appalachian Research in Business Symposium. 72-74. Richmond, KY.
Engle, A. D., Sr., Poór, J., Kerekes, K., & Zaharie, M. (2016). Human resource issues as seen by HR managers in MNEs in the CEE region: Patterns of professional preparation, competency development and global-local roles and responsibilities. Proceedings of the 3rd Academy of International Business – Central and Eastern European Chapter Conference, The University of Economics, Prague (VŠE). Prague, Czech Republic. Holsapple, C. W., Hsiao, S.-H., & Oh, J.-Y. (2016). Parameters of knowledge management success. In Jay Liebowitz (Ed. ), Successes and failures of knowledge management (pp. 1-20). Burlington, MA: Morgan Kaufmann. King, K. L. (2016). Integrating employee empowerment into the systems development life cycle: A methodology. Refereed Proceedings of the Appalachian Research in Business Symposium. 55-62. Richmond, KY.
Lewicki, R. J., Polin, B., & Lount, R. B. (2016). An exploration of the structure of effective apologies. Negotiation and Conflict Management Research, 9(2), 177-196. Polin, B., & Doyle, S. (2016). Welcoming the new kid on the block: Helping behaviors between agents and newcomers of similar and different status levels. Refereed Proceedings of the Appalachian Research in Business Symposium. 111-118. Richmond, KY.
Polin, B., & Roberson, M. (2016). Toward mindful, self-regulated learning: Creation of a learning academy for management students. Proceedings of the Organizational Behavior Teaching Conference. Canton, OH. Roberson, M., & Polin, B. (2016). Inattention, distraction, and dysfunction: Modern challenges for business education and practice. Refereed Proceedings of the Appalachian Research in Business Symposium. 50-54. Richmond, KY.
Robles, M. M. (2016). Student perceptions of PowerPoint slides in the classroom. Refereed Proceedings of the Appalachian Research in Business Symposium. 16-24. Richmond, KY.
Robles, M. M. (2016). The impact of internet screening on job seekers. Refereed Proceedings for the Association of Business Information Systems Conference—Federation of Business Disciplines. Oklahoma City, OK.
Robles, M. M. (2016). The importance of “profreading.” Refereed Proceedings for the Association for Business Communication Southwestern United States Conference. Oklahoma City, OK.
Robles, M. M. (2016). The relationship between academic research and instructional quality. Refereed Proceedings of the Association for Business Communication National Conference. 72-81. Albuquerque, NM. Robles, M. M., & Burgess, C. (2016). An examination of the relationships between college graduates seeking job-related information and key employment search actors. Refereed Proceedings for the Business Education Research Conference—Association for Research in Business Education. Las Vegas, NV. Robles, M. M., Carnes, L., & Awang, F. (2016). Reputation and branding: Important possessions for international business success. Refereed Proceedings of the Association for Business Communication Conference. 23. Cape Town, SA. Xiao, Q. (2016). A structural model of managing E-commerce transaction quality and perceived online transaction value. Refereed Proceedings of the Appalachian Research in Business Symposium. 9-12. Richmond, KY.
Xiao, Q. (2016). Managing E-commerce platform quality and its performance implication: A multiple-group structural model comparison. Journal of Internet Commerce, 15(2), 142-162. Xiao, Q., Zhu, P., Hsu, M., Zhuang, W., & Peltier, J. (2016). Reflective learning in a Chinese MBA program: Scale assessment and future recommendations. Journal of Further and Higher Education, 40(1), 1-22. Zhuang, W., & Cai, L. (2016). An empirical investigation of the impact of Email title on response rate. Refereed Proceedings of the Appalachian Research in Business Symposium. 13-15. Richmond, KY.
Angolia, M., Pagliari, L., & Easterling, J. K. (2015) The path from industry professional to assistant professor. Proceedings of the 122nd ASEE Annual Conference and Exposition, Seattle, WA. Best Paper Award. Awang, F., & Combs, R. (2015). Developing cultural intelligence across business functions. National Business Education Forum, 69(3), 38-40. Cai, L., & Xiao, Q. (2015). A Strategic analysis framework for evaluating small business management: Applications in a service project. Proceedings of the Academy of Business Research Conference, Boca Raton, FL. Best Paper Award. Carnes, L. (2015). Developing a mantra: Sustaining professionalism of students and employees. Refereed Proceedings of the 87th Annual International Society for Business Education Conference. Krakow, Poland. Carnes, L., Awang, F., & Robles, M. M. (2015). Employers' rankings of communication skills needed for a Certificate in Corporate Communication. Refereed Proceedings of the Association for Business Communication: 80th Annual International Conference. 1-13. Seattle, WA. Carnes, L., Awang, F., & Smith, H. (2015). Assurance of learning in a writing-intensive business course. Journal of Case Studies in Accreditation and Assessment, 4, 1-10. Carnes, L., & Barthel, L. (2015). Using a mantra to communicate actions for student success. National Business Education Forum, 70(1), 24-26, 35. Dust, S. B., & Fore, M. (2015). Buckyballs: An ethics-based discussion of product liability and the responsible corporate officer doctrine. Journal of Applied Case Research, 13(1), 24-31. Engle, A. D., Sr. (2015). About the CEEIRT research model and theoretical background. In J. Poór, A. D. Engle, A. Szlávicz, K. Kerekes, I. E. Kovács, I. Józsa, & K. Szabó (Eds. ), Human resource management issues and challenges in foreign owned companies: Central and Eastern Europe (2011-2013). (pp. 12-32). Slovakia: Faculty of Economics, J. Selye University Komárno. ISBN: 978-80-8122-151-4. Engle, A. D., Sr. (2015). Whither talent management: A contrarian inquiry. Refereed Proceedings of the Fourth Workshop on Talent Management. European Institute for Advanced Studies in Management (EIASM), Universitat Politècnica de Valencia (Campus de Vera), Valencia: Spain. Engle, A. D., Festing, M., & Dowling, P. J. (2015). Gaining altitude on global performance management processes: A multilevel analysis. The International Journal of Human Resource Management, 26(15), 1955-1964. Hood, K. M., Robles, M. M., & Hopkins, C. D. (2015). Personal branding and social media for students in today’s competitive job market. The Journal of Research in Business Education, 56(2), 33-47. Klein, H. J., Polin, B., & Sutton, K. L. (2015). Specific onboarding practices for the socialization of new employees. International Journal of Selection and Assessment, 23(3), 263-283. Loy, S. L. L., & Tabibzadeh, K. (2015). Center for the Arts: Start up problems of an intergovernment business venture. International Academy for Case Studies, 21(2), 19-23. Loy, S. L. L., Brown, S. M., & Tabibzadeh, K. (2015). South Carolina Department of Revenue: Mother of government dysfunction. Journal of the International Academy for Case Studies, 20(1), 83-94. Leung, V. K. K., Lau, M. C. K., Zhang, Z., & Gu, F. F. (2015). Explorative versus exploitative alliances: Evidence from the glass industry in China. Journal of Chinese Economic and Business Studies, 13(2). Polin, B. (2015). The science, not the art: A social psychological approach to strengthening student speaking. Proceedings of the 35th Annual Original Lilly Conference. 1-5. Oxford, OH. Poór, J., Engle, A. D., Kovacs, I. E., Slavic, A., Wood, G., Szabo, K., Stor, M., Kerekes, K., Karoliny, Z., Alas, R., & Nemethy, K. (2015). HR management at subsidiaries of multinational companies in CEE in light of two surveys of empirical research in 2008 and 2013. Acta Polytechnica Hungaria, 12(3), 229-249. Robles, M. (2015). Business students’ proofreading skills: Self-assessment vs. actual performance. In K. V. Hemby (Ed. ), Refereed Proceedings for the Business Education Research Conference, 21-45. Chicago, IL. Robles, M. (2015). How is the use of social media impacting communication in the classroom?. In K. A. Grant (Ed. ), Refereed Proceedings for the Association for Business Communication Southwestern United States Conference. Houston, TX. Robles, M. (2015). Online learning. In K. V. Hemby & R. E. Grubb (Eds. ), Recent and projected technology trends affecting business education (Yearbook No. 53, pp. 175-194). Reston, VA: National Business Education Association. Robles, M. (2015). The strategic use of social networking in hiring practices: Or is it social media harassment?. In L. Soule (Ed. ), Refereed Proceedings for the Association of Business Information Systems Conference, 11-15. Houston, TX. Robles, M. M., & Roberson, M. T. (2015). The state of studying and learning in business schools today: Applying an expectancy theory framework. The Journal of Research in Business Education, 56(1), 17-31. Spain, J. W., Thompson, J. C., & Engle, A. D., Sr. (2015). Through a glass darkly: Transparency, regulation, and near death experiences in the financial services industry. Proceedings of the 22nd Annual International Vincentian Business Ethics Conference. New York, NY: Peter J. Tobin College of Business, St. John's University. Xiao, Q. (2015). Perceived quality of E-commerce platform and its performance implications: A managerial perspective. Proceedings of the Eastern Academy of Management Annual conference, Philadelphia, PA.
Xiao, Q., Wang, X., & Porosjan, G. (2015). A systematic review of motivators of Chinese outward foreign direct investment: Comparing Chinese state-holding and private enterprises. International Journal of the Academic Business World, 9(2), 49-56. Zhuang, W., & Alford, B. (2015). The mediation effects of sticker shock. Journal of Product and Brand Management, 24(4). Zhuang, W., Babin, B., & Tran, J. (2015). Does co-creation always produce values: An experimental study. The Journal of Selling, 14(2), 30-42. Zhuang, W., King, K., & Carnes, L. (2015). Studying abroad: Understanding the relationships among beliefs, perceived value, and behavioral intentions. Journal of Teaching in International Business, 26(1), 32-45. Awang, F., Shafie, Z., & Pearl, R. (2014). The multicultural organizations: Perceptions of diversity challenges and initiatives. Journal of International Business and Cultural Studies, 8, 1-13. Barthel, L. (2014). Prevalence of accounting theory in top-ranked undergraduate Accounting programs. Journal of Accounting and Finance, 14(4). Black, H. G., Childers, C. Y., & Vincent, L. H. (2014). Service characteristics’ impact on key service quality relationships: A meta-analysis. Journal of Services Marketing, 28(4). Black, H. G., Vincent, L. H., & Skinner, S. J. (2014). Customers helping customers: Payoffs for linking customers. Journal of Services Marketing, 28(5). Carnes, L. (2014). Creating an assurance of learning day. The department chair: A resource for academic administrators, 24(4), 17-19. San Francisco, CA: Jossey-Bass. Dachner, A.M., & Polin, B. (2014). Older than a child but younger than an adult: Mapping the young adult learner onto andragogy in higher education. Proceedings of the Organizational Behavior Teaching Conference. Nashville, TN. Dust, S.B. (2014). Know thyself: Taking it to the next level by honing your self-awareness. The Young Lawyer (TYL), Chicago, IL: American Bar Association. Dust, S. B., & Resick, C.J. (2014). Work characteristics and employee performance: Does need-supply congruence matter? The Academy of Management Conference, Philadelphia, PA. Best Paper Proceedings for the Academy of Management Conference. Dust, S. B., & Resick, C. J. (2014). Setting a moral compass: Ethical leadership and employee ethical mindfulness. Online Proceedings for the Annual Academy of Management Meeting, Philadelphia, PA.
Dust, S. B., & Ziegert, J. C. (2014). Multi-leader teams in review: A framework for understanding collective leadership effectiveness. Online Proceedings for the Annual Academy of Management Meeting, Philadelphia, PA.
Dust, S. B., Resick, C. J., & Mawritz, M. B. (2014). Transformational leadership, psychological empowerment, and the moderating role of mechanistic-organic contexts. Journal of Organizational Behavior, 35, 413-433. Engle, A. D., Festing, M., & Dowling, P. J. (2014). Gaining altitude on global performance management processes: A multilevel analysis. In A. Pocztowskis & B. Buchelt (Ed. ), Book of Abstracts, 13th International Human Resource Management Conference; Uncertainty in a Flattening World: Challenges for IHRM. Cracow University of Economics, Cracow, Poland, 137-138. Selected for publication as an article in a Special Issue of The International Journal of Human Resource Management. Engle, A. D., Festing, M., & Dowling, P. J. (2014). Proposing processes of global performance management: An analysis of the literature. Journal of Global Mobility, 2(1), 5-25. Engle, A. D. Sr., Spain, N., & Dowling, P. J. (La Trobe University, Australia) (2014). Redesigning Edo Castle: A sociotechnical systems approach to security for multinational enterprises in an age of asymmetric threats. Program and Abstracts of the 2014 International Federation of Scholarly Associations of Management, World Congress in Tokyo. Meiji University, Tokyo, Japan, pp. 127-128. Ford, J. D., Ford, L. W., & Polin, B. (2014). Leadership in the conduct of organization change: An integrative view. Proceedings of the Annual Meeting of the Academy of Management, Philadelphia, PA. Best Paper Proceedings for the Academy of Management Conference. Freling, T. H., Vincent, L. H., & Henard, D. H. (2014). When not to accentuate the positive: Reexamining valence affects in attribute framing. Organizational Behavior and Human Decision Processes, 124(2), 95-109. Hood, K. (2014). The household pharmacy: Consumer treatment of drugs in the home. Proceedings of the Association for Marketing and Health Care Research. Telluride, CO. 117-121. Kincer, K. (2014). Professionalism, golf coaching, and a Master of Science Degree. International Journal of Sports Science and Coaching, 9(4), 903-908. Loy, S. L., Brown, S., & Tabibzadeh, K. (2014). South Carolina Department of Revenue: Mother of government dysfunction. Journal of the International Academy for Case Studies, 20(2), 71-82. Mawritz, M. B., Dust, S. B., & Resick, C. J. (2014). Hostile climate, abusive supervision, and employee coping: Does conscientiousness matter? Journal of Applied Psychology, 99(4), 737-747. Poór, J., Szabo, K., Stor, M., Karoliny, Z., Kerekes, K., Zaharie, M., Slavic, A., Alas, R., Engle, A., & Wood, G. (2014). The new trends of human resource management at the local subsidiaries of multinational companies in light of two consecutive research samples in CEE countries. In A. Pocztowskis & B. Buchelt (Ed. ), Book of Abstracts, 13th International Human Resource Management Conference; Uncertainty in a Flattening World: Challenges for IHRM. Cracow University of Economics, Cracow, Poland, 25-26. Polin, B., Dust, S., & Hood, K. (2014). The start of a career: The role of rational value-based decision making in the business student's choice of major. Proceedings of the Organizational Behavior Teaching Conference, Nashville, TN. Robles, M. (2014). Student perceptions of the use of PowerPoint in the classroom. In L. Soule (Ed. ), Refereed Proceedings for the Association of Business Information Systems Conference. Dallas, TX. Robles, M. (2014). Student self-assessment vs. actual performance of their communication skills. In L. L. Valenti (Ed. ), Refereed Proceedings for the Association for Business Communication Southwestern United States Conference. Dallas, TX. Xiao, Q., Hsu, M., & Zhuang, W. (2014). Using social networking sites: What is the big attraction? Exploring a mediated moderation relationship. Journal of Internet Commerce, 13(1), 45-64. Xiao, Q., Savage, G. T., & Zhuang, W. (2014). A longitudinal model of the dynamics between HMOs’ consumer-friendliness and preventive healthcare utilization. Journal of Health and Human Services Administration, 37(1), 74-108. Adams, J. B., Dust, S. B., & Piccolo, R. F. (2013). Approaches to minimizing choking under pressure. In A. DuBrin (Ed. ), The handbook of research on crisis leadership in organizations. Northhampton, MA: Edward Elgar Publishing. Barthel, L. (2013). Developing communication skills through focusing on critical thinking across the business curriculum. Federation of Business Disciplines Journal, 1, 1-17. Dowling, P. J., Festing, M., & Engle, A. D. Sr. (2013). International human resource management. 6th ed. London: Cengage Publishing. Dust, S. B., & Greenhaus, J. H. (2013). Integrating spirituality and the work-home interface: A resource and demand perspective. Journal of Management, Spirituality, and Religion, 10(3), 282-305. Elbert, N., & Cumiskey, K. J. (2013). Bridging the generation gap: "Growing golf" through an action learning activity, Journal of Instructional Pedagogies, 13, 1-6. King, K. L. B., Carnes, L. W., & Zhuang, W. (2013). Assessing students' interest in studying/working abroad. National Business Education Forum, 67(4), 30-33. Lewicki, R. J., & Polin, B. (2013). The role of trust in negotiation processes. In R. Bachman & A. Zaheer (Eds. ), Handbook of advances in trust research (pp. 29-54). London: Edward Elgar Publishing. Lewicki, R. J., & Polin, B. (2013). Trust and negotiation. In M. Olekalns & W. L. Adair (Eds. ), Handbook of research on negotiation (pp. 161-190). Cheltenham, UK: Edward Elgar. Loy, S. L., Brown, S., & Tabibzadeh, K. (2013). South Carolina Department of Revenue: Mother of government dysfunction. Proceedings of the International Academy for Case Studies, 20(1), 26-30. Polin, B. (2013). Putting power into empowerment: Reconceptualizing the empowered state and the empowerment process. In Leslie A. Toombs (Ed. ), Proceedings of the Seventieth Annual Meeting of the Academy of Management (CD), ISSN 1543-8643. Robles, M. (2013). Social media: Don’t over socialize. In B. Oswalt (Ed. ), Refereed Proceedings for the Association of Business Information Systems for the Federation of Business Disciplines Conference. Albuquerque, NM. Robles, M. (2013). Using mini lessons to teach writing. In S. Jennings (Ed. ), Refereed Proceedings for the Association for Business Communication Southwestern United States Conference. Albuquerque, NM. Xiao, Q. (2013). The challenge of technology and online bidding strategy. International Journal of Strategic Management, 13(2), 75-79. Zhuang, W. (2013). How national culture influences customers’ motivation for relationship maintenance: The role of Hofstede’s confucian dynamism dimension. Review of Business Research, 13(1), 53-56. Zhuang, W., Hsu, M., Brewer, K., & Xiao, Q. (2013). Paradoxes of social networking sites: An empirical analysis. Management Research Review, 36(1), 33-49. Atik, D., & Vicdan, H. (2012). The interplay of culture(s) of freedom in the bazaars of Italy and Turkey. Journal of International Consumer Marketing, 24, 1-19. Awang, F., & Carnes, L. W. (2012). Cultivating International-mindedness. In Glenn, J. L. (Ed. ), Keying-in (4th ed., vol. 22, pp. 1-6). Reston, VA: The National Business Education Association. Barthel, L. (2012). Accounting. In E. Bolland & F. Fletcher (Eds. ), Solutions: Business problem solving (pp. 271 – 290). Burlington: Gower Publishing Company. Barthel, L. (2012). Organizational performance. In E. Bolland & F. Fletcher (Eds. ), Solutions: Business problem solving (pp. 309 – 334). Burlington: Gower Publishing Company. Brewer, K. L. & Brewer, P. D. (2012). Influencing variables and perceptions regarding MBA degree programs. Academy of Educational Leadership Journal, 16(4), 27-38. Brewer, K., & Brewer, P. (2012). Assessing student interest in studying/working abroad. Academic Business World International Conference & International Conference on Learning & Academic Administration in Higher Education Proceedings (p. 164). Nashville, TN. Carnes, L. (2012, Spring). Keeping the focus on student success. The department chair: A resource for academic administrators, 22(4), 18-19. San Francisco, CA: Jossey-Bass. Carnes, L. (2012). Keeping the focus on student success. Conference Proceedings of the 29th Annual Academic Chairpersons Conference. Orlando, FL. Christensen, B. A., & Olsen, J. L. (2012). The Neasham case: An analysis of the events and their implications for financial advisors. Journal of Financial Service Professionals, 66(6), 39-52. Davis, R. (2012). Hard facts about soft skills. Wisconsin Business Education Journal, 60(1), 10-15. Engle, A. (2012). Competent Chinese Cats: Framing research on the institutional effects of the central organization department on the competency assessment of Chinese executives and Chinese performance management practices. Proceedings of the 2012 International Federation of Scholarly Associations of Management International World Congress, June 26-29, University of Limerick, Ireland. Festing, M., Engle, A. D. Sr., Dowling, P. J., & Sahakiants, I. (2012). Human resource management activities: Pay and rewards. In C. Brewster & W. Mayrhofer (Eds. ), Handbook of research on comparative human resource management (pp. 139-163). Northhampton, MA: Edward Elgar Publishing. Festing, M., Knappert, L., Dowling, P. J., & Engle, A. D. (2012). Global performance management in MNEs—Conceptualization and profiles of country-specific characteristics in China, Germany, and the United States. Thunderbird International Business Review, 54(6), 825-843. Hatfield, R. & Elbert, N. (2012, Spring/Summer). Systems model approach to designing learning and development: The case of mentoring at Ernst & Young. Kentucky Business Education Online Journal, 1. Poor, J., Farkas, F., & Engle, A. D. (Eds.). (2012). Human resource management issues and challenges in foreign owned companies: Central and Eastern Europe. (pp. 316). Komárno, Slovakia: Janos Selye University. ISBN: 978-80-8122-047-0. Poór, J., Karoliny, Z., Engle, A., Alas, R., Dobrai, K., Farkas, F., & Slavic, A. (2012). Human resource management issues and challenges in foreign owned companies: Central and Eastern Europe (2008-2009). Proceedings of the 2012 International Federation of Scholarly Associations of Management International World Congress, June 26-29, University of Limerick, Ireland. Powers, R. (2012). Adding value to the marketing program using a marketing capstone course: A case study for closing the loop. Proceedings of the International Conference on Learning and Administration in Higher Education. Nashville, TN. Powers, R., & Powers, K. (2012). Use of the virtual manager changes organization operations and may improve operational effectiveness and efficiency: A case study. Proceedings of the Academic Business World International Conference. Nashville, TN. Roberson, M. T., & Robles, M. M. (2012). The state of studying and learning in business schools today: Applying an expectancy theory framework. Refereed Proceedings of the Association for Research in Business Education: Delta Pi Epsilon 2012 National Conference. Cincinnati, OH. Recipient of the Outstanding Research Paper Award. Robles, M. M. (2012). Executive perceptions of the top 10 soft skills needed in today’s workplace. Business Communication Quarterly, 75(4), 453-465. Robles, M. M. (2012). Fun, free, and useful websites for teachers and students. Kentucky Business Education Journal, 30-34. Robles, M. M. (2012). Strategically integrating technology into instruction. Journal of Research in Business Information Systems, 5(5), 54-69. Ross, J. & Carnes, L. (2012, Spring/Summer). Recruiting, retaining, and graduating college students. Kentucky Business Education Online Journal, 1. White, A., Breazeale, M., & Collier, J. (2012). The effects of perceived fairness on customer responses to retailer SST push policies. Journal of Retailing, 88(2), 250-261. Babin, B., & Zhuang, W. (2011). Gift shopping and consumers’ negative self-conscious emotions. Proceedings of the American Marketing Association Winter Marketing Educators’ Conference. Austin, TX. Barzantny, C., Festing, M., Dowling, P. J., & Engle, A. D., Sr. (2011). Addressing the lack of empirical data on global performance management: Developing a research strategy and assessing initial empirical evidence-a research note. European Journal of International Management, 5(2), 200-203. Brewer, P. D. & Brewer, K. L. (2011). Influencing variables and students' perceptions as they pertain to an MBA degree program. Conference Proceedings of the International Academy of Business and Public Administration Disciplines. Orlando, FL. Carlson, B., Frankwick, G., & Cumiskey, K. (2011). A framework for understanding new product alliance success. Journal of Marketing Theory and Practice, 19(1), 7-25. Carnes, L. (2011). Student success challenge: Helping students retain knowledge. Proceedings of the Delta Pi Epsilon Research Conference (pp. 77-79). Indianapolis, IN. Cumiskey, K. (2011). Teaching through application: Project-based learning. KBEA Journal, 26, 28. Cumiskey, K. (2011). The motivations of enduring product involvement. Conference Proceedings of the Association of Collegiate Marketing Educators. Houston, TX. Davis, R. (2011). Why China is an important country to study for business education. Proceedings of the Delta Pi Epsilon Research Conference (pp. 71-76). Indianapolis, IN. Davis, R. & Sgro, S. (2011). Developing critical thinking skills in vocational and engineering technology curriculum: Best practices applied. Proceedings of the International Conference on Vocational Designing and Career Counseling. Padova, Italy. Elbert, N. (2011). Globalization in business education. KBEA Journal, 6-7, 28. Lu, X. L., Li, Y. Z., & Zhang, Z. (2011). Exploring the contents of online reviews: The content analysis approach. Conference Proceedings of the Midwest Academy of Management. Grand Forks, ND. McGlone, T., Spain, J., & McGlone, V. (2011). Corporate social responsibility and the millennials. Journal of Education for Business, 86(4), 195-200. Markkula, A., Mikkonen, I. & Vicdan, H. (2011). What not to wear? Consumer government in wardrobe self-help. Proceedings of the Association for Consumer Research Conference. Duluth, MN. Morgan, T., & Carnes, L. (2011). Parents of millennial students: Friend or foe of college students? KBEA Journal, 27, 9-10. Poór, J., Karoliny, Z., Alas, R., Dobrai, K., Engle, A. D. Sr., & Farkas, F. (2011). MNC subsidiaries in central and eastern Europe: HRM practices, priorities, expatriation and the executive perspective. Proceedings of the 1st Israeli Global Human Resource Management Conference (GHRM). Karmiel, Israel. Poór, J., Karoliny, Z., Farkas, F., Dobrai, K., & Engle, A. D. Sr. (2011). HRM in transition: Practices of MNC subsidiary mandates in Hungary - 2010. Conference Proceedings of the Third Annual Conference on Globalization, Sustainability and Development. Budapest, Hungary. Winner of Best Paper Bronze Award. Reid, M., & Thompson, S. (2011). Survey responses to the Baldrige Quality Model and implementing College of Education strategic plan. Kentucky Journal of Excellence in College Teaching and Learning, 9, 17-28. Roberson, M. T. (2011). Developing tomorrow’s leaders: Recommendations for teaching leadership. KBEA Journal, 24-25, 29. Robles, M. M. (2011). History of online education and its impact on business education. In L. G. Snyder (Ed. ), Online business education (Yearbook No. 49, pp. 1-15). Reston, VA: National Business Education Association. Robles, M. M. (2011). Prompting students to think critically in the business information systems classroom. Journal of Research in Business Information Systems, 4(4), 36-54. Spain, J. W. (2011). Stand up and be counted: Legal protections for those who act with moral courage. In D. R. Comer, & G. Vega (Eds. ), Moral courage in organizations-Doing the right think at work (142-153). M.E. Sharpe, NY. Spain, J. W., & Robles, M. M. (2011). Academic integrity policy: The journey. Business Communication Quarterly, 74(2), 151-159. Thompson, J. C., Engle, A. D., & Spain, J. W. (2011). A Rose by any other name: Models of social responsibility as predictors of financial performance. Journal of Financial and Economic Practice, 11(1), 37-42. Vicdan, H. (2011). Emerging trends in user-driven healthcare: Negotiating disclosure in online health community organizations. In R. Biswas, & C. M. Martin (Eds. ), User-driven healthcare and narrative medicine: Utilizing collaborative social networks and technologies (Medical Information Science Reference, pp. 481-498). Hershey, PA.
Vicdan, H. (2011). Surveillance 2.0: Meso legitimation of sharing in healthcare through social media. Proceedings of the Association for Consumer Research Conference. Duluth, MN. Zhang, Z., Xiaoling, L, & Li, Y. (2011). Corporate governance and customer satisfaction. International Journal of Business and Social Science, 2(9), 289-292. Zhuang, W., & Babin, B. (2011). Are customer co-creations always good? Proceedings of the Society for Marketing Advances Annual Conference (p. 43). Memphis, TN. Zhuang, W., Xiao, Q., & Paun, M. (2011). The effect of movie awards on movie success: A replication using golden globe data. Journal of Economic Computation and Economic Cybernetics Studies and Research, 45(1), pp. 153-167. Zhuang, W., Zhu, M., Hsu, M., & Xiao, Q. (2011). Reflective learning in business education: A replication in an Asian context. Proceedings of the Academy of Marketing Science World Marketing Congress Conference (p. 530). Champagne, France. Awang, F., & Carnes, L. W. (2010). Cross-cultural and international business law and ethics. In L. Waldman, & D. Everett (Eds. ), Cross-cultural and international business education (Yearbook No. 48, pp. 34-45). Reston, VA: National Business Education Association. Awang, F., & Roach-Duncan, J. (2010). Cultural differences and their effects on conflict resolution in business settings. Journal for Global Business Education, 10, 27-36. Brewer, P. D., & Brewer, K. L. (2010). Knowledge management, human resource management, & higher education: A theoretical model. Journal of Education for Business, 85(6), 330-335. Carnes, L. W. (2010). Emphasizing critical thinking in intercultural business communication classes. National Business Education Forum, 65(2), 41-43, 51. Dowling, P. J., & Engle, A. D., Sr. (2010). ’Transnational Thermals’: A discussion of the interaction of the combined effects of outward FDI via Chinese SOEs and the Chinese diaspora to the United States and other advanced economies. Proceedings of the Second Annual Conference of the Chinese Economic Association-Europe. University of Oxford, Oxford, U.K.
Dowling, P. J., Engle, A. D., Sr., Festing, M., & Barzantny, C. (2010). Proposing processes of global performance management: An analysis of the literature. Conference Proceedings of the IFSAM 2010 World Congress. Paris, France. Festing, M., & Engle, A. D., Sr. (2010). Contextualism in rewards: Constructs, measures and the discretion of multinational enterprises. In Professional Development Workshop 258: Comparative Human Resource Management - Current Status and Future Developments. The Annual Meeting of the Academy of Management, Montreal, Quebec, Canada. Festing, M., Knappert, L., Dowling, P. J., & Engle, A. D., Sr. (2010). Country-specific profiles in global performance management - A contribution to balancing global standardization and local adaptation. Conference Proceedings of the 11th Conference on International Human Resource Management. Birmingham, U.K. CD-ROM. (Winner of Best Paper Award for the 2010 IHRM Conference). Grobler, P., Warnich, S., Carrell, M. R., Elbert, N., & Hatfield, R. D. (2011). Human resource management in South Africa (4th ed.). South-Western Cengage Learning. Loy, S. L., & Brown, S. (2010). eCampus: Success! Now what? Journal of the International Academy for Case Studies, 16(7), 41-54. Powers, R. L., & Tabibzadeh, K. (2010). An exploratory study of web use by the golf course industry. International Journal of the Academic Business World, 4(1), 29-32. Robles, M. M., & Spain, J. W. (2010). The case of "Wikidness." Case studies in computer ethics, 14-15. Little Rock, AR: Delta Pi Epsilon. Tosiani, F., Engle, A. D., Sr., & Yoder, R. L. (2010). Contextualism on a small canvas: Exploring the formal and informal faces of HRM processes and practices of small and medium size businesses in Argentina. Conference Proceedings of the IFSAM 2010 World Congress. Paris, France. Vicdan, H. (2010). Social production of medicine in a virtual health community organization. In D. W. Dahl, G. V. Johar, & S. M. J. van Osselaer (Eds. ), Advances in Consumer Research: Vol. 38. Duluth, MN: Association for Consumer Research. Zhang, Z., & Barringer, B. (2010). Alliance experience and service quality. Journal of Business and Policy Research, 5(2), 100-118. Zhang, Z., & Xu, Z. (2010). Effects of board attributes on the Chinese pharmaceutical firms. International Review of Business Research Papers, 6(5), 1-6. Zhuang, W., & Cumiskey, K. (2010). The impact of perceived value on behavior intention: An empirical study. Journal of Global Business Management, 6(2), 250-256. Zhuang, W., Xiao, Q., Babin, B. & Paun, M. (2010). Do oscar award and nomination signal movie success? An empirical examination. Proceedings of the American Marketing Association Annual Summer Conference (pp. 169-170). Boston, MA. Awang, F. (2009). Achieving success through student organizations. National Business Education Forum, 64(2), 45-46. Barzantny, C., Festing, M., Dowling, P. J., & Engle, A. D. (2009). Addressing the lack of empirical data on global performance management: Developing a research strategy and assessing initial empirical evidence (pp. CD-ROM). Proceedings of the 10th Conference on International Human Resource Management. Santa Fe, NM. Brewer, P. D., & McGlone, T. A. (2009). Students' perceptions of their oral and written communication skills. National Business Education Forum, 64(1), 38-41. Brown, S. M., Brewer, P. D., & Tabibzadeh, K. (2009). KWIKS: A family affair. Journal of Case Research in Business & Economics, 2. Brewer, P. D., & Brewer, K. L. (2009). Knowledge management in management education. Proceedings of the International Academy of Business & Public Administration. Dallas, TX. Carlson, B.D., Donavan, D.T., & Cumiskey, K. (2009). Consumer-brand relationships in sport: Brand personality and identification. International Journal of Retail and Distribution Management, 37(4), 370-384. Carnes, L. W., Brewer, P. D., & Roberson, M. T. (2009). Institutional challenge: Improving student learning. Refereed Proceedings of the National Delta Pi Epsilon. San Francisco, CA. Carnes, L. W. (2009). Engaging millennial business communication students. Refereed Proceedings of the Association for Business Communication International. Portsmouth, VA.
Colbert, J. L., Spain, J. W., & Carnes, L. W. (2009). Ethics and proximity dilemma: Sliding scale or breaking point? NABTE Review, 36, 24-29. Davis, R. R. (2009). A historical review of business education. Kentucky Business Education Association Journal, 6-7. Davis, R. R., Tabibzadeh, K., & Lloyd, T. J. J. (2009) Applying the supply chain management model to higher education. Refereed Proceedings of the National Delta Pi Epsilon. San Francisco, CA. Elbert, N., & Poór, J. (2009). Strategic role of job and competency analysis in IHRM. In Dr. J. Poor (Ed. ), International human resource management, (1st ed., pp. 191-197). Budapest: CompLex. Engle, A. D., Festing, M., Dowling, P. J., & Sahakiants, I. (2009). Renaissance in rewards: A historical preface and comparative analysis of contemporary pay practices: Proceedings of the Annual Meeting of the European Academy of Management. Liverpool. Groschl, S., Dowling, P. J., Festing, M., & Engle, A. D. (2009). International human resource management: A Canadian perspective. Toronto: Nelson Canada. Loy, S. L., Brown, S. M., & Case, F. M. (2009). Australian dream: An American dream. Proceedings of the Allied Academies International. Cullowhee, NC. Loy, S. L., & Brown, S. M. (2009). Ecampus: Success! Now what? Proceedings of the International Academy for Case Studies. Cullowhee, NC. Poór, J., Engle, A. D., & Gross, A. (2009). Past, present and future of HRM - Based on the practice of multinational subsidiaries operating in Hungary, 1988-2005, Chemnitz University: Proceedings of the IX East Forum. Chemnitz University. Robles, M. M. (2009). Teaching activities to help students develop oral presentation skills. Kentucky Business Education Association Journal, 13-14. Robles, M. M. (2009). An analysis of business education recruitment strategies over the past 25 years: Then and now. The Delta Pi Epsilon Journal, 51(1), 1-14. Thompson, J.C., Engle, A. D., & Spain, J. W. (2009). Eye of the beholder. Proceedings of the 16th Annual International Vincentian Business Ethics. Niagara Falls, NY. Zhuang, W. (2009). An exploratory study of the feeling of regret in eBay auctions: The role of snipers. Proceedings of the 2009 Academy of Marketing Science Annual Conference. Baltimore, MD. Brewer, P. D., & Carnes, L. W. (2008). The perceived impact of physical facilities on the student learning environment. Business Education Digest, XVII, 3-21. Burton, B., & Robles, M. M. (2008). From chalkboards to smart boards. Kentucky Business Education Association Journal, 27-28. Case, F. M., & Pope, J. (2008). Is conjoint analysis subject to equivalence failure? Proceedings of the Society for Marketing Advances. Christensen, B., Spain, J. W., & Colbert, J. L. (2008). Strategies and motivation: Rote memory or learning. Proceedings of the 15th Annual International Vicentian Business Ethics. New York, NY. Christensen, B., Engle, A. D., & Spain, J. W. (2008). View from the top: An A.C.T.I.O.N. approach to corporate social responsibility. Proceedings of the 15th Annual International Vincentian Business Ethics. New York, NY. Davis, R. R., & Amundsen, S. (2008). FOCUS (Second Edition/revised). Kendall-Hunt Publishing. Dowling, P. J., Festing, M., & Engle, A. D. (2008). International human resource management. Managing people in a multinational context (5th ed.). London: Thomson Publishing. Engle, A. D., Dowling, P. J., & Festing, M. (2008). Global performance management: An initial European test of a proposed framework. In M. Festing & S. Royer (Eds. ), Global performance management (vol. 1, pp. 73-92). Munich, Bavaria: Rainer Hampp Verlag. Engle, A. D., Dowling, P. J., & Festing, M. (2008). State of origin: Research in global performance management, a proposed research domain and emerging implications. European Journal of International Management, 2(2), 153-169. Fern, R. H., & Spain, J. W. (2008). United Airlines - Pensions, profits and ethics. In S. Matulich, & D. Currie (Eds. ), Handbook of frauds, scams and swindles: Failures of ethics in leadership (pp. 297-314). Boca Raton, FL: CRC Press, Rollins College Center for Leadership Development. Grahn, J., & Robles, M. M. (2008). We still need to overcome the shortfalls of technology and computers in the classroom. Kentucky Business Education Association Journal, 29-30. Jones, P., & Davis, R. R. (2008). Instructional design methods integrating instructional technology. Handbook of Research on Instructional Systems & Technology. Hershey, PA: Information Science Reference (IGI Global). Karande, K., Case, F. M., & Mady, T. T. (2008). When does a candidate's inconsistency matter to the voter? An experimental investigation. International Journal of Advertising, 27(1), 37-65. Kincer, K. S. (2008). Training or education? Negotiating a fuzzy line between what we want and what they might need: A commentary. Annual Review of Golf Coaching, 23-24. Lett, A., McCann, C., McGuire, J., & Awang, F. (2008). Projecting success: The impact of workplace etiquette. Kentucky Business Education Journal, 23-26. McGlone, T. A., & McGlone, V. (2008). CIS students, ethics, and social responsibility. ACM Proceedings of the Mid-Southeast Annual Conference. Oakes, L., & Robles, M. M. (2008). Electronic communication in student education. Kentucky Business Education Association Journal, 14-15. Perrine, R. M., & Spain, J. W. (2008). Impact of pre-semester college orientation program: Hidden benefits? Journal of College Student Retention - Research, Theory and Practice, 10(2), 155-169. Poór, J., Engle, A. D., & Gross, A. (2008). In J. Cantwell, & T. Kiyak (Eds. ), Heritage: Practices and roles of human resource executives in large multinational firms in Hungary, 1988-2005 (pp. CD ROM, Accessible by author's name). Proceedings of the Academy of International Business, 50th Annual Meeting. Panel Presentation. East Lansing, MI. Tosiani, F., & Engle, A. D. (2008). In J. Cantwell, & T. Kiyak (Eds. ), Janus: An initial view of the formal and informal faces of Argentine human resource management (vol. 50th Annual Meeting , pp. CD ROM, Accessible by author's name). Proceedings of the Academy of International Business. East Lansing, MI. Zhang, Z., Barringer, B., & Tzabbar, D. (2008). Alliances and customer dissatisfaction. Journal of Applied Management and Entrepreneurship, 13(3), 35-46. Zhang, Z. (2008). How do outside directors and board age affect firm performance in the Chinese pharmaceutical industry? A preliminary longitudinal study. Zhe Jiang: Proceedings of the Global Finance Conference. Awang, F., & Reaka, B. (2007). Civic engagement in the classroom. Kentucky Business Education Journal, 10-13. Brewer, P. D., Carnes, L. W., & Garner, S. J. (2007). The potential impact of the physical work environment on business faculty's productivity and job satisfaction. Business Education Digest, XVI, 29-46. Brown, S. M., Brewer, P. D., Gakpo, S. K., & Elbert, N. (2007). Randy dandy: Changing agents-who can you trust? (2nd ed., vol. 14). Proceedings of the International Academy for Case Studies, 75-81. Brown, S. M., Brewer, P. D., & Tabibzadeh, K. (2007). TOPS: A family affair (1st ed., vol. 14). Proceedings of the International Academy for Case Studies, 11-14. Brown, S. M., & Davig, B. (2007). LECTRODRYER: Its buyout and strategic direction (1st ed., vol. 14). Proceedings of the International Academy for Case Studies, 15-18. Carnes, L. W. (2007). Student organizations: Gateways to professional opportunities and development. National Business Education Forum, 62(2), 48-51. Carnes, L. W. (2007). Business communication classes: Strategies for engaging students. Kentucky Business Education Association Journal, 7-9. Carnes, L. W., & Allen, J. (2007). Integrating math skills in high school business classes. Kentucky Business Education Association Journal, 14-15. Carnes, L. W., & Spain, J. W. (2007). Designing and implementing a multi-component ethics awareness week. Proceedings of the 79th International SIEC-ISBE. Vienna, Austria. Carnes, L. W., & Spain, J. W. (2007). Genuine products, genuine values: Challenges and choices in a global society. National Business Education Forum, 62(4), 34-37. Carnes, L. W., & Spain, J. W. (2007). Involving students and faculty in ethics awareness week case development. Proceedings of the 79th International SIEC-ISBE. Vienna, Austria. Carnes, L. W., & Vice, J. (2007). Assessment to support and reinforce academics. In M. L. Bush, & K. A. Schultz (Eds. ), Assessment for an evolving business education curriculum (pp. 41-56). Reston, VA: National Business Education Association. Colbert, J. L., Spain, J. W., & Carnes, L. W. (2007). In institute for business and professional ethics of DePaul university (Ed. ), ethics and proximity dilemma: Sliding scale or breaking point? Proceedings of the 14th Annual International Vincentian Business Ethics. Chicago, IL. Davis, R. R. (2007). A success story. The pathway from Baghdad to tech prep. Waco, Texas: CORD Communications Publisher. Davis, R. R., & Amundsen, S. (2007). FOCUS (Second Edition). Kendall-Hunt Publishing. Engle, A. D., Engle, F. A., & Engle, F. B. (2007). Transnational leadership: Harmonizing long wave career influence and leader as bard. Estonian Business School Review, 23(3), 62-69. Engle, A. D., Dowling, P. J., & Mendenhall, M. E. (2007). Transnational trajectories: Emergent strategies of globalization and a new context for strategic HRM in MNEs. Tallinn, Estonia: Proceedings of the 9th Conference on International Human Resource Management. CD-ROM; indexed by subject and first author's name. Engle, A. D., Mendenhall, M., Powers, R. L., & Stedham, Y. (2007). Conceptualizing the global competence cube: A transnational model of human resources. In K. Hutchings, & H. D. Cieri (Eds. ), International human resource management: From cross-cultural management to managing a diverse workforce (pp. 343-352). Aldershot: Ashgate Publishing. Engle, A. D., Mendenhall, M. E., & Powers, R. L. (2007). Transnational terrain: Ortsinn and global career development as a driver of emergent strategies of globalization. Tallinn, Estonia: Proceedings of the 9th Conference on International Human Resource Management. CD-ROM; indexed by subject and first author’s name. Grobler, P., Warnich, S., Carrell, M. R., Elbert, N., & Hatfield, R. D. (2007). Human resource management in South Africa (3rd ed.). London: Thomson Learning. McGlone, V., & McGlone, T. A. (2007). Finding a home for the quantitative methods course. Proceedings of the ACM Mid-Southeast. Robles, M. M. (2007). Activities for guiding students to ethical decision making. Kentucky Business Education Association Journal, 5-6. Robles, M. M. (2007). Applying instructional design theory when using learning objects. In A. Koohang, & K. Harman (Eds. ), Learning objects and instructional design (pp. 407-436). Santa Rosa, CA: Informing Science Press. Thompson, J., Spain, J. W., & Engle, A. D. (2007). In institute for business and professional ethics of DePaul university (Ed. ), rose by any other name: Models of social responsibility as predictors of financial performance. Proceedings of the 14th Annual International Vincentian Business Ethics. Chicago, IL. Zhang, Z., & Barringer, B. (2007). Alliance effects on customer satisfaction. Proceedings of the 10th International Research Symposium on Service Excellence (Quis 10). Orlando, FL.